After all the trash produced about Osho’s ranch in Oregon at least this report is not filled with lies and stupidity that seems to come straight from the press department of the Pentagon. The producer of this film at least tries to describe this most thrilling story of modern religious consciousness in an unprejudiced way. The enormous envy of the neighbouring farmer is shown clearly, the farmer who could not stand the success of the Sannyasins. For many of the followers of Osho it became more than clear in what kind of country they had landed when the first fanatic Christian fundamentalists appeared at the gates of the ranch, shouting slogans like " We will show these people that there is only one God almighty." Now the politically motivated pressure by the US government against the ranch intensifies. 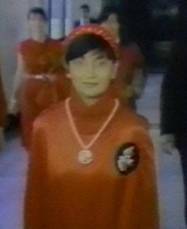 The federal attorney of Oregon declares the city of Rajneeshpuram an illegal city, unprecedented in world history. And the reason is, astonishingly, that the ranch offends the separation from state and church. From now on this verdict served as a base to hinder and cripple the ranch in every possible way. Buildings on the ranch are declared illegal and new buildings are not allowed due to some obscure land use laws. The Sannyasins successfully maintain their ground before court. 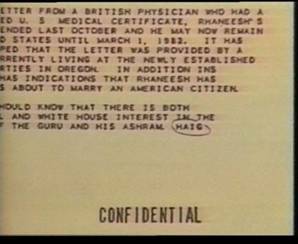 In July 1984 the High Court of Oregon determines that the city Rajneeshpuram does not violate any state laws. When the US government, under the leadership of US Secretary of State Alexander Haig, realise that they cannot harm the ranch on a legal basis, they change their tactics and start to attack Bhagwan directly. Unexpected help came to them from inside the ranch by Osho’s secretary, Sheela. The crimes committed by her were a welcome excuse to illegally arrest and imprison Osho. Sheela’s crimes created the fog behind which the US government was able to hide their criminal action against Osho. Only Osho's flight to Charlotte, North Carolina, and his subsequent kidnapping by the US authorities takes pressure off the ranch. Osho's deportation from the USA was the final hit to the ranch. The community was destroyed and announced its final dissolution. 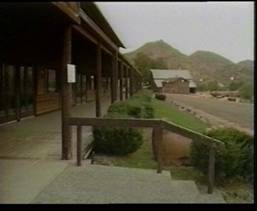 Today the former city of Ranjneeshpuram is just another ghost city in the wild west of America.